Mrs. Cropper’s visionary leadership and selfless public service were recognized by the Jury to have catalyzed numerous activities for equity, peace and sustainable development at both international and local levels. As co-founder and President of The Cropper Foundation, a non-profit charitable organization committed to sustainable development, Mrs. Cropper has inspired activities in public policy, environmental education, and social justice within her own country of Trinidad and Tobago, and throughout the Caribbean Region. Mrs. Cropper started her professional career as an economist, but her talents for promoting the integration of environment and development and the equitable use of natural resources have involved her in many high level processes at the cutting edge of sustainable development. As head of Governance in IUCN – The World Conservation Union, she developed a strategic plan which sought to integrate its conservation and development components. As interim Executive Secretary of the United Nations Convention on Biological Diversity, she helped establish the Secretariat and organized the early stages of this important Convention enshrining respect for both people and nature. Under her guidance as senior Advisor on Environment and Development to the United Nations Development Program at its Headquarters, she assisted UNDP to bring environmental issues more fully into its development portfolio. Mrs. Cropper also co-chaired the Assessment Panel of the Millennium Ecosystem Assessment, and also led two sub-global assessments on the Northern Range in Trinidad and the Caribbean Sea. She continues to disseminate the findings and represent the MA in many events. Among many of her special interests is sustainable forest management. 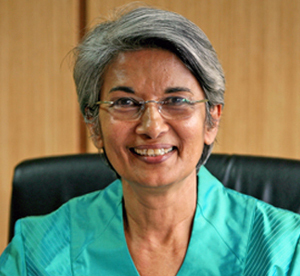 She is the Chair of the Board of Trustees of CIFOR (Centre of International Forestry Research), and was a member of the World Commission on Forests and Sustainable Development, and Editor of the Commission’s Report. She has recently been appointed a McClusky Fellow, and will join the Yale School of Forestry and Environmental Studies in Spring 2006.